The first illicit images of the upcoming McLaren 650S dropped last night, and it looked just like somebody stitched the front half of a McLaren P1 to the back half of a McLaren 12C. These new pictures, first obtained by Autocar, confirm that. McLaren is rumored to have conducted a very un-secret presentation for the media in London ahead of the car's debut at Geneva. 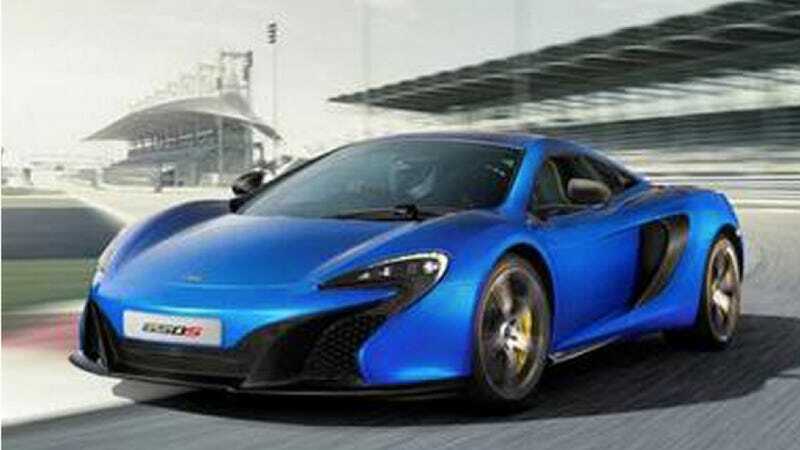 Autocar says that McLaren confirmed that the 650S is not an entirely new car, but rather a hotted-up version of the 12C, which normally competes with the 562-horse Ferrari 458. Even still, the "650" in "650S" more than likely refers to the horsepower. So is this the oft-rumored Ferrari F12 fighter, the McLaren P15? Probably not. But I will never, ever complain about a McLaren with over 600 horses. The more, the merrier. See more pictures over at Autocar. Big hattip to Fractal Footwork!